Recent advances in video capturing and display technologies provide audiences with higher spatial and temporal resolution content. After High Definition (HD), nowadays Ultra High Definition (UHD) aims to further improve users' quality-of-experience at the cost of increased storage capacity and bandwidth. 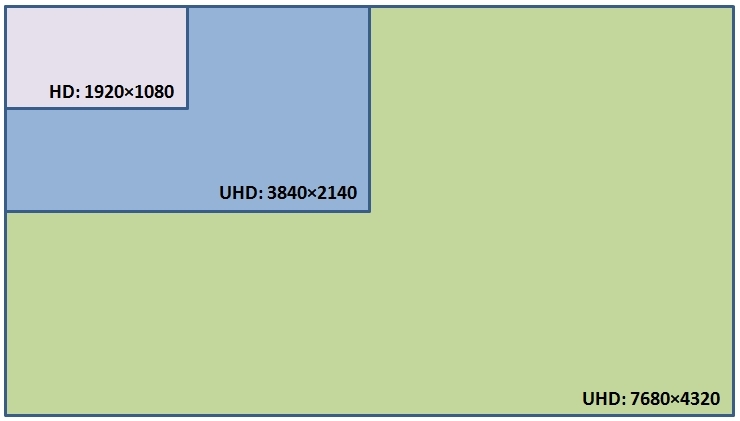 Ultra high definition targets two formats with 16:9 aspect ratio: the first has twice the width of HD while the second has four times the width of HD. High definition content is becoming an integral part of global broadcasting, setting the standard for streaming, satellite, cable and terrestrial transmissions. More importantly, it is generating extremely large amounts of data that need to be delivered to a large number of users. Up to now, the distribution of conventional media has only been made possible by the application of compression systems that reduce the size of content sufficiently to be stored and distributed on a mass scale. To properly handle the data rates associate to UHD content, the H.265/High Efficiency Video Coding (H.265/HEVC) standard will be mainly used. H.265/HEVC is the newly ratified video compression standard developed by both ITU VCEG and ISO/IEC MPEG in a joint partnership called the Joint Collaborative Team on Video Coding (JCT-VC). 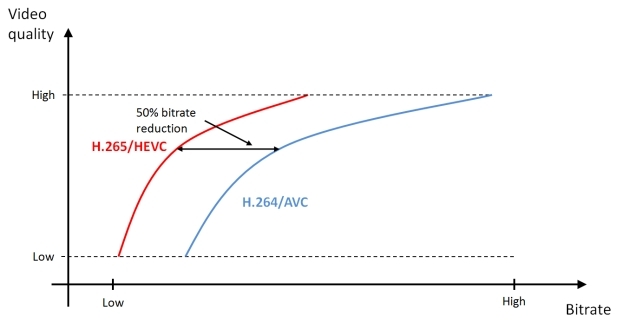 HEVC results from a joint VCEG and MPEG call for proposals on compression technology able to achieve the same perceived quality of the H.264/AVC standard by halving the required bitrate. The H.265/HEVC standard provides a base for handling ultra high resolution content. Underpinning the capabilities of HEVC are computationally expensive, extremely complex and resource demanding algorithms. Consequently, in its current state, H.265/HEVC is unfeasible for practical applications involving very high definition content. THIRA aims to facilitate storage and transmission of the huge amounts of data contained in very high resolution content using the H.265/HEVC standard.